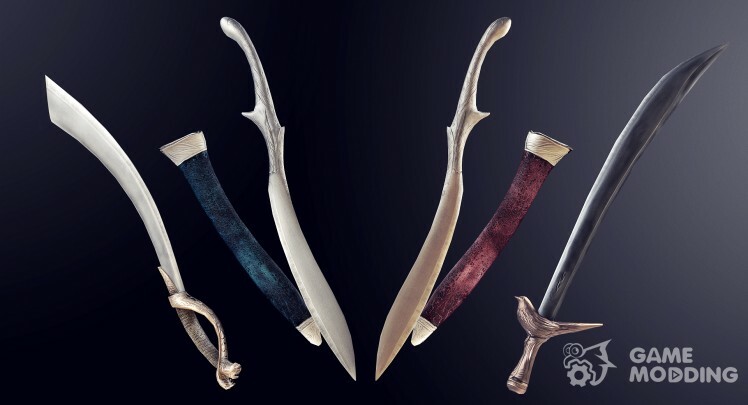 The game adds 4 unique skimitara, you can forge a forge in the "Steel". 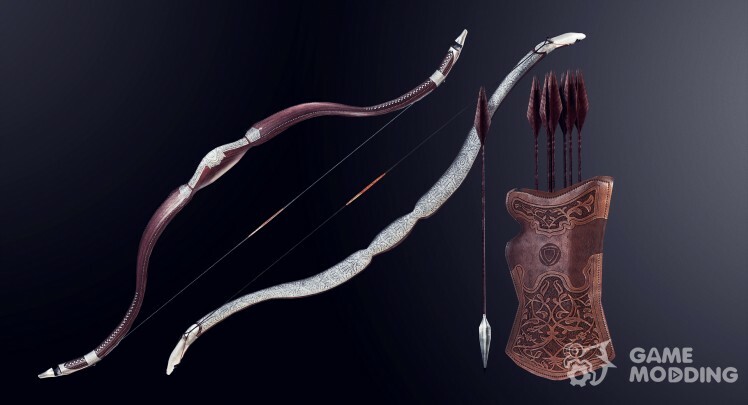 The game adds a bow and quiver of arrows for true redgardov. 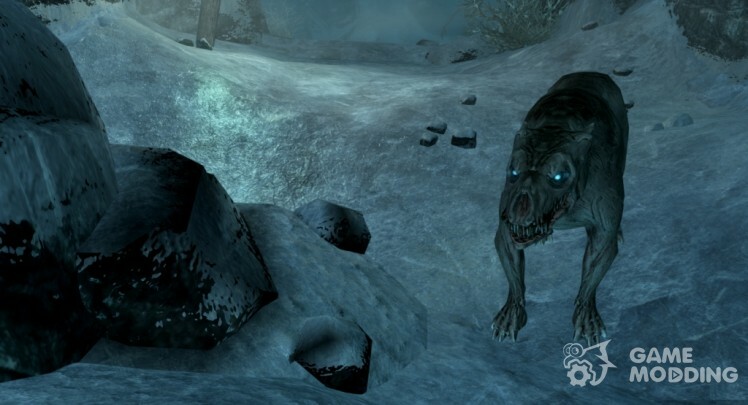 You can forge a forge in the "Steel", and boom — in the "misc" section. The texture of onions 4 k, 2 k and arrow quiver. 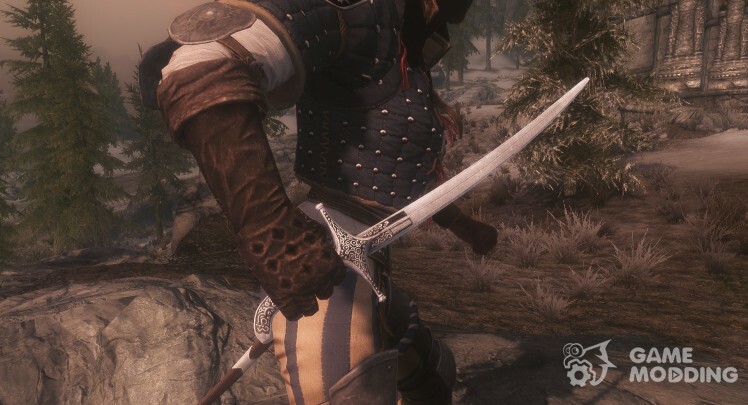 This MOD changes shape èbonitovoj much armor (gloves, boots, chest plates, helmet and shield). 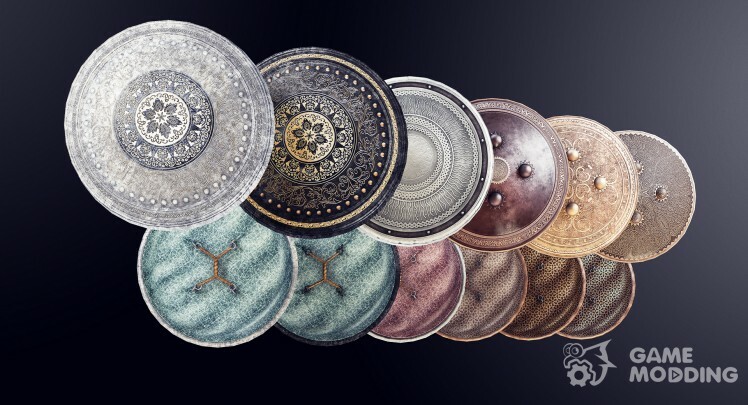 -There are several versions of the modified form of armour for men: 1.0 and 1.2, fix for women in both versions only version 1.4. 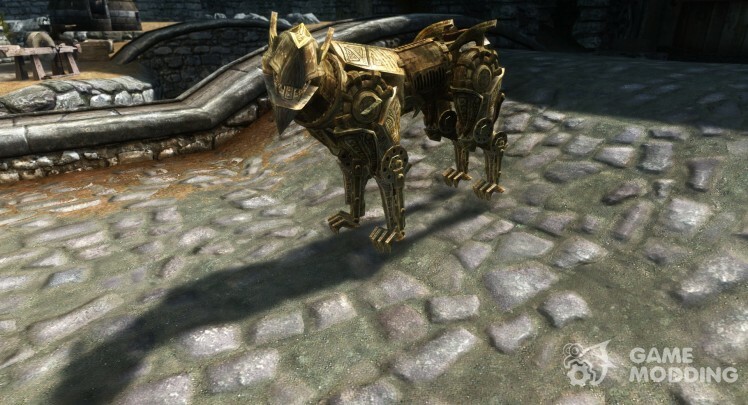 Replejser versions are available-standard armor and create new in the forge (without changing the original). 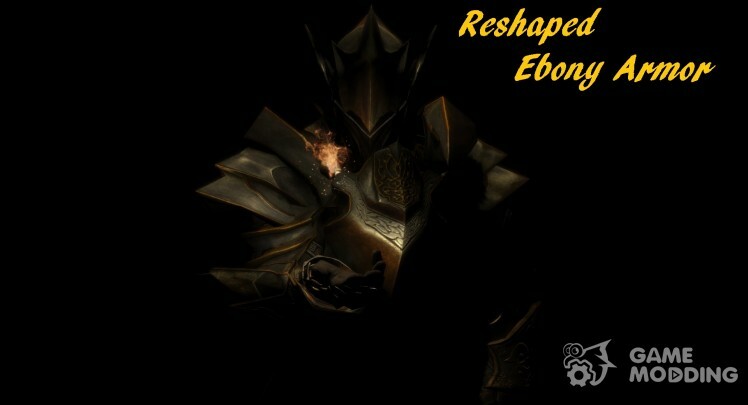 -Any version will use your installation retekstur èbonitovoj armor, èbonitovoj armor textures from the recommended CaBaL120. 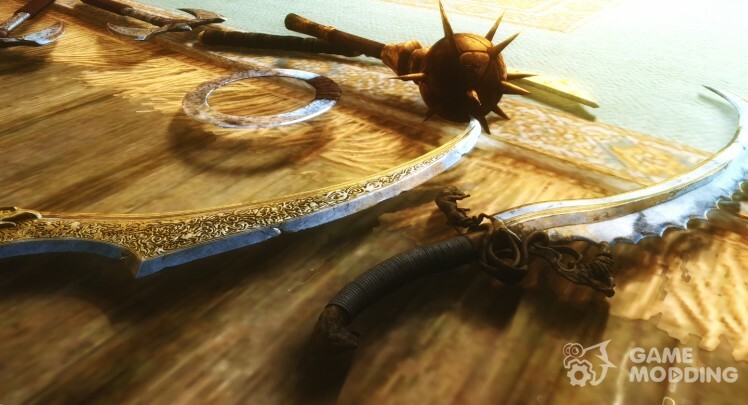 MOD adds to the Trainer new sword called Shamshir Engraved ". According to the author, it is very suitable for all redgardskim to the soldiers. Forge the steel section of the sword. 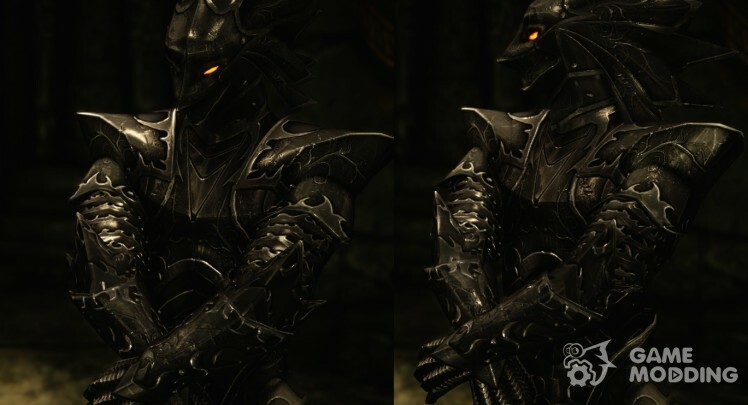 MOD adds to the expanse of Skyrim wonderful armor "Knights of the Thorn"
Armor is a "Stone Snake"
The game adds 6 sheets of different materials, the majority is in the section of the forge "Steel" and one in "Èbonitovoe". 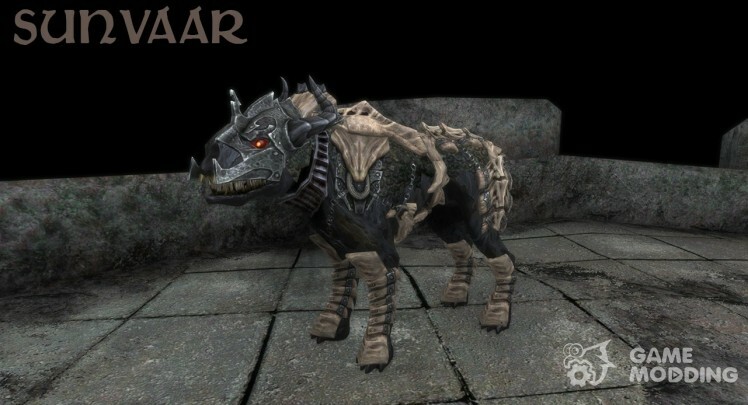 Size 2 k textures are balanced and have a lornyj design.